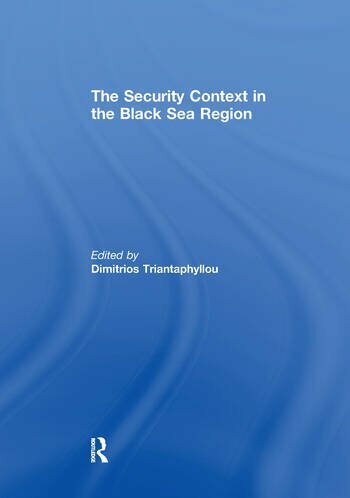 This book on the security context in the Black Sea region is a timely endeavour and substantive contribution to understanding the state of play in the region and its linkages to the rest of the world. With contributions from analysts from Europe, the United States, Russia, Ukraine and Turkey, the book provides a holistic perspective. Post-Cold War developments have increased interest in the Black Sea region and the role of the regional and extra-regional actors in its security issues: this volume examines the position of the United States; NATO’s involvement; the EU’s engagement; Russia and Turkey’s aspirations alongside the policies of the other states in the region as they seek a role for themselves. It illustrates and investigates key concerns such as security, energy and energy security, regionalism and good governance; and questions why a cooperative security framework (or other regional schemes which could accommodate the needs of all stakeholders) has to date never become a reality. This book adds to the growing body of research on the region, presenting the facts of the current situation and asking what can be done in the Black Sea region for it to survive given its precarious security environment. Dimitrios Triantaphyllou is Director General of the International Centre for Black Sea Studies (ICBSS) in Athens, and Assistant Professor of International Relations at the University of the Aegean, Rhodes, Greece.